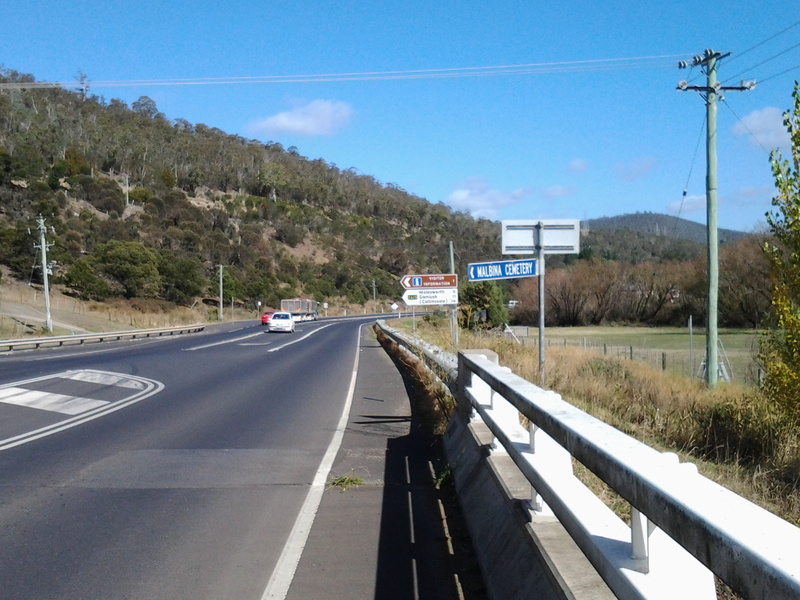 Around 11.35 am, directional signs at the Sorell Creek T junction with the Lyell Highway gave me useful information for me to gauge the distance I had walked from Granton and what was left to cover if I continued ‘straight’ to New Norfolk. As I crossed the actual creek flowing with a lot of water, I was made aware by a slightly mangled small blue sign, of a cemetery to my left; usually old cemeteries contain interesting stories but visiting it seemed like a deviation which would take me too far from the Derwent River so I continued on the Highway making a mental note to return another day to have a look at the Malbina cemetery. 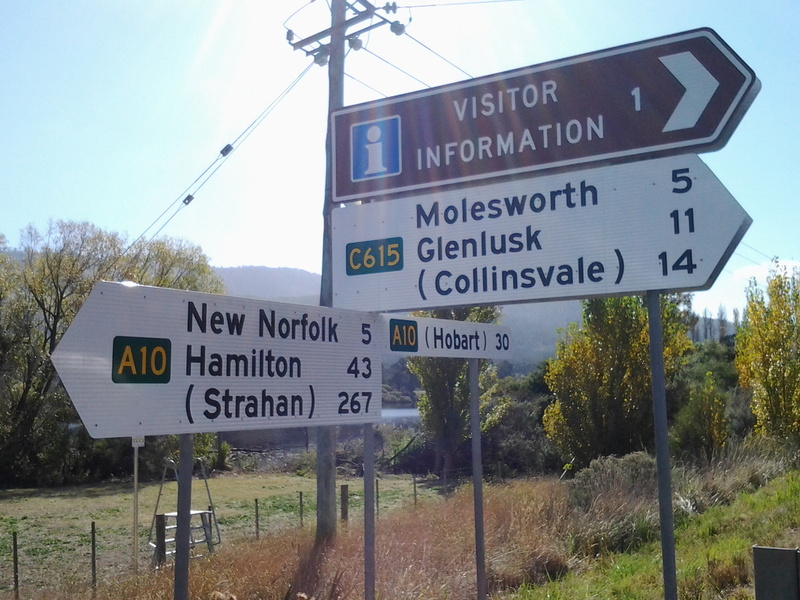 The main signs indicated New Norfolk was a mere 5 kilometres further north, if I stayed walking on the Highway – but I expected to be finding tracks off the highway taking me closer to river in the next half an hour. 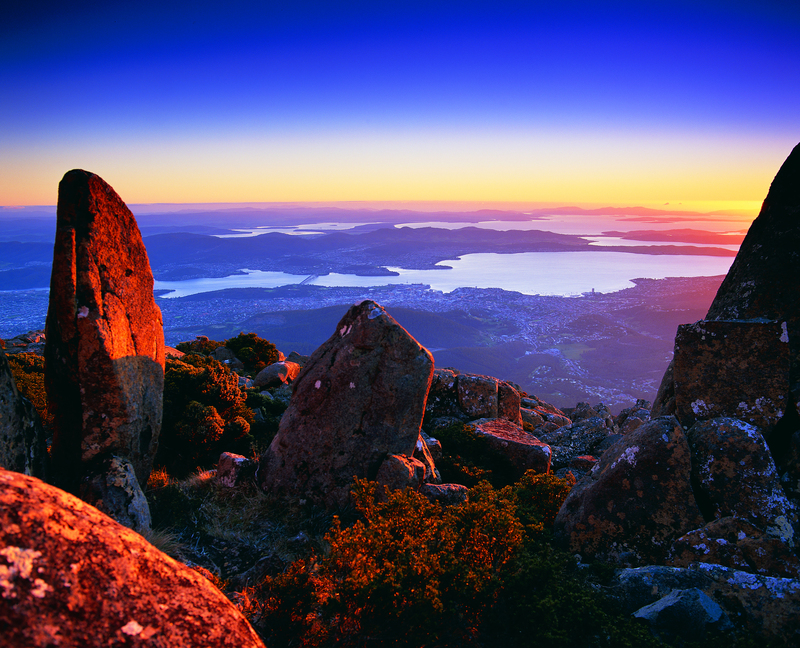 and the golden view when looking back south was also worth a photo. I wondered how many people commuted to New Norfolk daily by foot. Probably zero numbers. 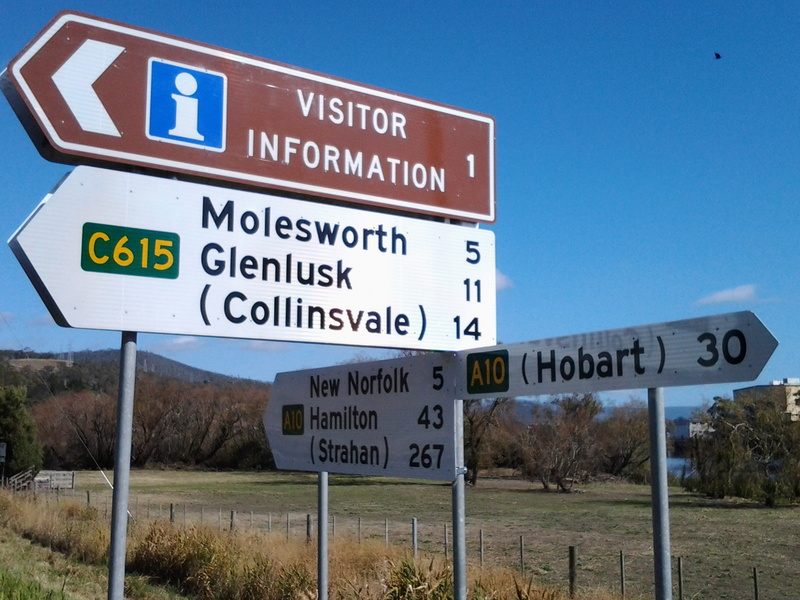 This entry was posted in Derwent River, Tasmania, Walking and tagged cemetery, Granton, Lyell Highway, Malbina, New Norfolk, signs, Sorell Creek on April 24, 2015 by Tasmanian traveller.